We are a recognized entity, affianced in manufacturing the best-in-class range of Double Ladder Frame for our clients. 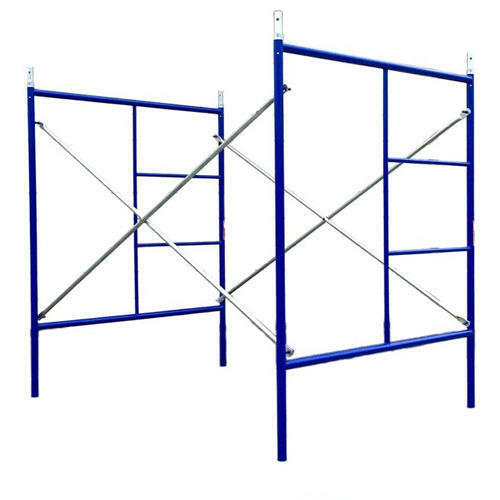 Established in the year 1980, as a Sole Proprietorship firm at Ahmedabad (Gujarat, India), we “Choudhary Udhyog” are counted as the reputed manufacturer of high quality range of Adjustable Telescopic Prop, Cuplock Scaffolding, Centering Sheets, Acro Plates, Anchor Nuts, etc. Owing to features like perfect finish, durability, corrosion resistance, high strength, etc. this range is widely urged in the market. We also trade a broad range of Pressed Couplers, Scaffolding Couplers and Scaffolding Clamps. Under the management of “Mr. Yusuf Choudhary” (Manager), we have been able to provide complete satisfaction to our clients.